Another jaw-droppingly beautiful village on the Essex/Cambridgeshire border. Hilly, winding streets, thatched cottages, the smell of woodsmoke. 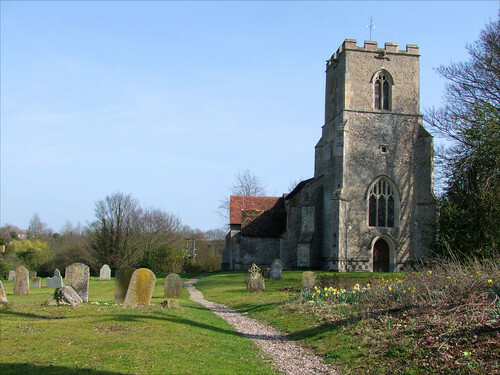 The church is on a hill overlooking it all, on the site of the Saxon minster built by Canute after the Battle of Ashdon.